Asalam`alaikum people, warahmatullah, may Allah's peace & mercy be with you. I have here the final and full transcript to last week's AlMaghrib 'Evening Of Qur'an' recitations by 17 shuyukh (sheikhs). The event was hosted by brother Farhan from Qabeelah Ittihad and all italicised sections are his introductions to speakers and nasiha (advice). The event itself is recorded for listening at:: http://almaghrib.org/live although I don't think it's available for download yet. Sh. Navaid Aziz sent a download link but that does not work for me, no matter. Keynotes or "GEMS" are highlighted. Please feel free to share and stick a du`a in for the rest of us. A gigantic *hurray* mashaAllah at the Liwaa Cup Winners: Qabeelah Tayyba from NY. Next year inshaAllah Qabeelat AlShams, Fawz and Mass and will strive harder to make the top three! C'mon Englanders, we were <-that-> close, tie your hijabs tighter! 'Abu Dhar رضي الله عنه was one of the early companions, some say the 5th to convert to Islam. He came from a trouble-making tribe, like the gangsters of Makkah. The Prophet صلى لله عليه وسلم was very happy at his embracing Islam. As Abu Dhar became Muslim early on in the nubawa, during prophethood, only a few Qur'an ayaat were revealed; surahs Mudathir, Muzammil, Duha, Alaq. Abu Dhar memorised these few revelations and went to his tribe and they ALL accepted Islam. Why? Because Abu Dhar (ra) had the purity of tawhid (monotheism) and the powerful words of Allah. 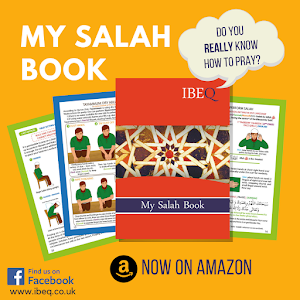 We believe Allah's Book is of guidance "for the muttaqin" - it's a book of transformation and guidance. Abu Dhar's (ra) belief and action was what transformed his whole tribe and this is what we need more of today. Therefore 17 AlMaghrib tutors will share their favourite Qur'an verses through recitation and give insightful reflections of how they transformed their lives. I chose it because it's the last verses revealed to Prophet Muhammad ﷺ, the last revelation of Qur'an; it would be the last time we'd hear from Allah up to Judgement Day. This summarises what the whole Qur'an is about. The translation is: "And fear a day when you will return to Allah, every soul will be given what is has done in this life and they will not be oppressed". So everything we've done to this day we have the fear that we will be given what we earned - the reward or punishment. The Prophet ﷺ also said, "the merchandise of Allah is expensive - it's for Jannah". Attaining Jannah (paradise) requires hard work in this life. I pray we become from the people of Jannah, I cannot wait to meet my siblings in Islam in Jannah. We will remember the days we learned knowledge and acted on it. SPARKLY GEMS: "There's no final home in the akhirah except paradise or hellfire," so what do you choose? Opening du`a: Oh Allah send blessings upon Prophet Muhammad ﷺ, his family, sahabah, and those that follow him. I make du`a Allah blesses whoever you are, wherever you are. May Allah bless you with `ilm (knowledge) and I thank Allah subhanahu wa ta`la for the blessings of Islam. One might ask, what inspires you (me) to travel to so many places, 16 other countries? I left America many years ago, I travelled jungles, deserts, mountains, to Asia, Africa, Australia - why? Allah tells us that certainly, every nation at one point in time received a prophet who taught them to stay away from bad - a Prophet came to China, India, to South East Asia, to the Americans, every nation. Some people from those nations were guided by Allah, others did not accept guidance and rejected the truth. Allah tells us to "travel the earth", in order to see what happened to those who "covered up" the truth. I was trying to uncover the truth. Living in America, I heard lies about Africa and about religion, so I travelled the earth, it was a way for me to uncover the truth I was searching for. The more I travelled, the more I got to know Muslims. I realised Allah has spread Islam throughout the world. Islam is not only for Arabic speaking people, or just for the Middle East. Everyone has been taught to believe. I saw this and it confirmed Islam in my heeart - I wasn't converting - I was going back. Islam lives in all cultures, all these people are just waiting for someone to come, to lift up the veil of shirk, or culture, of tribalism, of secularism. They want to see tawhid. SO GO TO ANOTHER LAND! Understand their traditon, make them understand there's one God. He's the Lord of all nations. Just that feeling alone gave me courage to continue on. I remember visiting a town (Sutu, Gambia), where one brother was instructing the Islamic concept of Janazah - the Muslim funeral - and how we Muslims respect those who passed away, how we wrap the body, carry out funeral rites, and give support to the family through financial aid, support, household chores - we make prayers. Subhan'Allah, an eldery woman about 80 years old came up and said I bear witness that what you are doing is what I was taught by my family. I am Muslim - this respect, this belief of One God, this sacrifice of the animals, this IS the religion of my ancient people. This inspired her and people. This was a great blessing. Allah says "fee al-ardh" - so "travel the earth", see as much as you can, take the message with you to people. This is what the Prophet's ﷺ companions did. They took the message out to the world. And I hope Allah will bless you, with knowledge and belief that Allah is the One Who guides, and we are the one who do 'bayaan' -> bringing the message to the people. Through learning the Arabic language, fiqh, history: Allah will inspire us to take the seats as leaders of mankind, as true representatives. SPARKLY GEMS: Allah has spread Islam throughout the world. Islam lives in all cultures. Islam is not only for Arabic speaking people, or just for the Middle East. "Travel the earth", see as much as you can, take the message with you to people. We should do this every day, the believer - the mu`min is not perfect. All of us, we're the children of Adam. The Messenger ﷺ said: "All the sons of Adam are sinners, but the best of those who make mistakes are those who seek forgiveness (make tawbah)"
Allah says "vie with one another", for Jannah. This is a greater in expanse and wonder than the heavens and earth. It's prepped for those who are muttaqun. Who are the muttaqun? -> The righteous Muslims, the righteous husbands and wives. Allah gives us characteristics of the muttaqun: "those who spend their time for Allah, in ease and hardship, and hold back anger, and forgive others, Allah loves those who do good." 7th ==> "they make the conviction to not persist in what they've done, while they know." Allah in these two ayat describes the muttaqun: they remember Allah often (hourly+), they sacrifice what they have, they don't gain retribution for wrongs done against them. This is the price for Jannah. "Those are rewarded with garden, with rivers flowing, eternally, how excellent is the work of the righteous". We make du`a that Allah forgives us. SPARKLY GEMS: Run to Allah's forgiveness everyday. Vie with one another. We all make mistakes, "but the best of those who make mistakes are those who seek forgiveness". A muttaqun does not let things control her/him. A muttaqun sacrifices their wealth in both easy and difficult situations. A muHtadun perfects their relationship with Allah and humanity --> They are forgiving. Sacrifice, repentance, conviction --> This is the price of Jannah. Farhan: Jazakallah sh. Abdulbary. These ayat are some of the most powerful in regards to akhlaq of the believer, especially in hardship. This is what separates true believers from the higher and lower levels of Jannah. Next we have Dr. Ali Shehata who teaches the 40 Hadith of Imam An-Nawawi, amongst others. The ayah has many values, and carried a particular impact since the beginning of revelation on the early believers. It has been said that Abdullah ibn `Umar al-Khattab couldn't recite it without crying, breaking down. This ayah lead to repentance Malik ibn Dinar as it broke him down and brought him back to be the serious and great scholar of deen. For me, as a teacher, it bothers me that we don't have a lot of seriousness and determination. I remember when AlMaghrib first started: Muhammad AlShareef (the founder) was talking about the good from the institution and after so many du`as I'm certain the vast number of you are great learners now. So I'm asking you, as Allah had: What will it take for us to stand up? And be serious? When will we have an impact = what impact did you have? Abdullah ibn Masood said within only 4 years after the beginning of revelation were we already being reminded, admonished by Allah by this ayat. And that was them! The greatest of the great. Is this not a reminder for us too? I used to ask in Houston, where's the manners? Where's all this knowledge going to? What's happening to our seriousnes, our "azeema" - which means detemination. "Ul - al`azm" - the prophets had immense determination. They put up with a lot of difficulty, but that didn't stop them from achieving good; they needed to achieve their goals with enormous patience. I'm asking you as people who have already committed to studying: where is this knowledge going? What's going on in your life? I teach the 40 hadith courses; it's been a year since I last taught. Every time I taught it, students wanted to know more about teaching ('ijaza). I tell everyone the same thing: it's not difficult, you have to memorise the hadith and understand and the lessons behind, and answer some questions. TO THIS DAY not one has come to me and fulfilled those simple requirements it. So where's this azeema?! Why hasn't it changed us up to luminaries? We should be able to recognise the AlMaghrib students (deeny students) from far away. Imam maalik said about his teacher, that you knew he was a sheikh without him even opening his mouth, because of his manners, his ambience, his behaviour, his concern! "The time has come and passed" yet we're still distracted by games and movies. We have precious talents but our masajid are still empty, we're stil hungry, our people are starving. I will end by relating a hadith, which the Prophet ﷺ taught Shaddad ibn Aws (ra). He ﷺ said: "Ya Shaddad, if you see people hoarding gold and silver, say these words..." (they're so distracted by gathering clothes, cars, gold, whatever - ask Allah to protect you, so that we're not distracted, this is regading azeema) "...Oh Allah, I ask you continuity and steadiness in my affairs..." (we're easily mislead by distraction, and we'll stop, get stuck), "...I (we) ask determination in righteousness..." (to doing good, acting on knowledge and everything that leads to mercy), "...We ask you to help us in thanking You for Your blessings, to seek for forgiveness, to be excellent in the worship of Allah, for a peaceful and pure heart, a truthful tongue. We ask you the best of what You know and we see refuge in You from the evil of what You know, and for Your forgiveness for what you know in my wrongs, for only You know the unseen". This is an authentic hadith, a authentic du`a. May we be humbled by this hadith and the knowledge of Allah. SPARKLY GEMS: What will it take for us to stand up? You know that's a sheikh/student of knowledge before he opens his mouth, because of his character. When we think about ayat, Allah gives comprehensive recipe, a very clear path for what believer hopes for. Allah begins with 'ala' - this is basically when something important is being stated, it calls attention. 'Awliya' is the plural of 'wali'. In Arabic, we find it refers to 'al Qurbah', meaning nearness. Allah is referring to nearness, special individuals who are loved by allah. Allah has many awliyah that are loved, they are His friends, He has an allegiance for them. What did he tell us about them? Their REWARDS, "la khaufun alayhim" - they will have no fear! We can say that fear and pain are 'sisters', both are found together, yet there will not be pain for these awliyah. We strive to be of these people. What does it mean to have no fear? It means as a Muslim, even in this world you truly recognise Allah's greatness and power. Your heart has certainty (yaqeen) that He IS the most supreme, the King, all powerful, all knowing. So worldly things don't bother you; your heart's secure with Allah's faith. You don't worry for family, financial issues, what tomorrow brings. They have no fear, Allahu Akbar! In regards to everything afterwards, the peace continues after death in Barzakh (soul's resting place). Everyone has an exam, they are questioned by scary angels - Munkir and Nadhir. Allah again gives security, otherwise it's unbearable to be here. Those Muslims are able to answer successfully and pass with flying colours. On Judgement Day, Allah continues to bless His awliyah in a a peaceful state while others are naturally in a state of worry. Alah gives the believers inner security. Think about the line "nor are they going to be sad or worried." This is true for this life, they recognise Allah's blessings in life, and recognise that all is given by Allah, their health, wealth, family, you name it. These people tried, they did the best of what was given with determination (istiqamah). They properly lived life to the MAXIMUM as believers. They don't need to be worried about what they 'couldnt' do', or how they "didn't have the opportunity" - focusing so much on what they should have done - the past. They know with Allah, Ya Rab, I did the best I could do - that's all He asks for. Allah continues: after telling the blessings for His special slaves, He gives interesting descriptions. What does it means to be AWLIYAH? Allah swt gets us hyped up! We think YES! Jannah - That's what I want! That's what I'm looking for, that's who I wanna be! (1) "those who believe" ==> Believing in pillars in Islam (6 pillars); the prophets, angels, akhirah (afterlife), qadr (divine decree), wahi (revelation), believe in Qur'an, whatever sent to Prophet, focus on aqeedah. Believe in Allah's promises. (2) this a trait we should develop: "wa kaanu yattaqoon" They live(d) life in taqwah. This is past tense (wa kaanu) but because taqwa is applicable in the present and future tense, here it is mentioned in the past to say they are always living in taqwah. What is taqwah? It is to protect your relationship with Allah, and have Allah loving you. You are mindful of distractions, you don't want to let anything come in between. Nothing detracts what you feel and love for allah. In addition, those with taqwah protect the teaching of Allah and uphold the commandements of Allah. The Prophet ﷺ said in a authentic hadith, "There is nothing that my servant can do to be more beloved and dear to Me (Allah) than to do the faraidh"; the mandatory duties. So YOU BE THE AWLIYAH: have your priorities straight, make sure everything's in check. Distance yourself like the East from West, from haraam (haramniyat). Live like the Prophet ﷺ, his family, companions. These golden ayat reveal the true conceptions of what is a wali, we thought in the past it was for particular sheykhs, for certain people, but Allah makes it inclusive, an open door - we can all be awliyah - anyone who believes and follow the faraidh will become a wali. But you have to have sincerity, determination, and with this Allah will faciliate our walk to Him. SPARKLY GEMS: True Muslims live their life to the max as believers. La khaufun alaykum, you will have nothing to fear! Taqwah is protecting your relationship with Allah from distractions. You have to have sincerity and determination to become from the awliyah. Farhan: Jazakallah khair Sheikh. Actually, listeners I have a riddle for you! Why is khauf mentioned as a noun and yahzanu mentioned as verb? To discuss on the AlMaghrib forums! Next is another favourite sh. Riadh Oarzazi. I have a story from 1991 when something amazing happened. I got my Islamic degree although I was not active then. I went to university and there was a brother, Mazam, aged 16-17yrs old from Philistine (Palestine). I'd ask him questions about Palestine and he said he had been in life threatening situations - attacks, arrests, the situation was difficult, but he survived them alhamdulillah. Years later he then moved to the Virgin islands and go a job driving a cab. One person got into his taxi and tried to rob him; br. Mazam was stabbed to death, and brought back to be buried. Like the previous sheikh mentioned, Allah says those who remaind in state of steadfastness, determination (istiqamah), the angels descend upon them saying fear not, paradise is promised for you, we're your helpers, we're your awliyah. You'll have whatever your soul desired, this gift of welcome is from the Forgiving Allah. I distinctly remember what the imam said NEXT: "AND WHO IS BETER IN SPEECH THEN HIM WHO'S SURRENDEDRED TO ALLAH and says I AM OF THE MUSLIMS" (Qur'an, 40:33). I had memorised it already, I knew it, but hearing it then changed my life in 1991. Brother Mazam always spoke good, he lived as a Muslim and died as a Muslim. Subhan'Allah. I was at another meeting, masha'Allah with several Sri Lankan brothers, they went for da`wah for 40 days, it was an event. I went them with, I said 'tayyib! bismillah!' and joined the 40 day trip! They kept calling me back and said they chose me for 'bayaan'. I kept asking subhan'Allah, 'why always me?!' Allah always selected me to give talks etc. I went home, and I started this journey with Allah, to calling to His path. In fact, let me tell you, without da`wah, personally, I feel like a fish out of water, if I don't call to people, or give lectures, I feel like my life has no meaning. Let me leave you with this. Imagine having a nightmare where your institutions (almaghrib), instructors and teachers weren't there, you had no support, you couldn't call any of your Muslim friends and Islam looked like it disappeared... You'd wake up and immediately make sujud! I want you to remember that every day. May Allah bless you, barakallah feekum. SPARKLY GEMS: You'll have whatever your soul desires if you follow Allah's commands. If I don't give da`wah I feel like my life has no meaning. Farhan: Subhan'Allah wa bi hamd. I was thinking about it too sheikh. The chance of education, learning and meeting Muslims, you can take the opportunities for granted, jazakallah for reminder. Next up is a favourite: sh. Abu Eesa Niamatullah from Egypt. We have not much time, so I jump right in: First, the context is to do with music. I was obssessed with music, which lead to Dj-ing. I was more into with lyrics of music, I'd be in a corner thinking about the words like a wuss. Later I entered a whole different environment, listening to Qur'an being recited - the words. I didn't understand everything but I heard something being repeated, you know words that you hear, they catch your interest. For example, surah Rahman, everyone remember 'fa be ayye 'ala i-rabbi kumma tu kathibaan." Will anyone take heed, it asked, will anyone learn? "We have made it easy to learn lessons from Qur'an" and I thought what does Allah mean, "made it easy"? I asked an imam. He said 'son, it'll be easy for anyone who memorises it and tries to understand. Divine assistance is provided. I chose this one ayat because it kicked off my study. As a kid I learnt Baqarah in the standard madrassa, but without soul. This ayat gave me real soul. I want to - I want to end with this... I have three requests. (1) Don't forget your brothers/sisters in du`a especially in Egypt, Libya, the oppressed. (2) Believe in yourself. Look, if I can do it, you can do it. Teaching and learning the Qur'an will be most enjoyable thing you'll ever do. Qur'an is no doubt 100% EASY, so will anyone STEP UP and learn then?! (3) Finally, whatever you think, don't belittle helping others to support the same organisations, and groups. Allah confirms sadaqah jariyah, the Prophet ﷺ guaranteed it - it will continue forever. And I want to say something here, because AlMaghrib is so organised and professional; the whole machine looks like it's funded by millions. That's not the case! They would collapse if it wasn't the support of you. SPARKLY GEMS: Will anyone else learn and implement? Understanding the Qur'an gave me real soul. Don't forget your brothers and sisters in du`a. Don't belittle helping others to support organisations. Farhan: Jazakallah sheikh. A reminder, we have over 1500 people logged in with this wonderful program. Seven speakers have recited Qur'an and there are 10 to go! Donate if you can now. AlMaghrib gives offer $50, 60k a year in scholarships.You may give a small seed but Allah says it will multiply - like corn, the seeds multiply and the reward increases! So whatever you give it will not be wasted. This is Islam - we're like family, we have their backs, and we support each other. The Prophet old us something important "It's possible that you're being given your privileges because of your sponsorship of someone else." - You may think you're paying for someone else but they will collecting reward for you. And this is a reminder to reflect on these Qur'an ayat by our sheikh. Sheikh Saed Rageah who teaches the fiqh of love classes is next. Sheikh, salam`alaikum. What struck me was when Allah invites: come to Jannah! He said something so powerful in talking about Firawun and man and the followers of those two. He talks about the advisors to Firaun and how he destroyed all his people. Look what's happening in the Muslim world today, look what happened to Zain ibn Abideen, Abbasi, Mubarak. Allah says "we have chosen those people with knowledge" - if you just go back look at how many gardens and springs they left behind! Who's taking care of those palaces now? Zain is in his grave - all their cars and wealth they left behind. All this? It's gone. This ayat affected me, because I realised that now matter what I do, if it's not done through the ways Allah is pleased with, the same thing that happened to Firawun, may happen to me. SPARKLY GEMS: Allah openly invites us to come to Jannah! No matter what we do, if it's not to please Allah, it may be a total waste of effort. Farhan: Jazakallah khair sheikh. Subhan'Allah these ayat are very relevant to what's on our mind especially to what's happening in the Middle East, may Allah protect them. I once asked my mentor, how can I gain more knowledge? I want to folllow the footsteps of 'ullama, how can I increase my knowledge? He said, read the longest ayat in Qur'an: to deduce some good. I found right at the end Allah is relating to `ilm (knowledge). "Wa taqullah" - "And fear Allah". "Wa yu`aallimukumu Allahu" - " and Allah teaches you". How is it relevant to me? I always remember what my mentor said, subhan'Allah we shoud always remember it: Fear Allah, meaning have taqwah, and Allah teaches you. Some 'ullama (ibn Kathir, Qurtubi, and others), said that seeking Islamic knowledge is conditioned by having more taqwah. Another opinion from the Arabic perspective says that seeking knowledge and the fear of Allah both are coupled, they always come together (Ibn taymiyyah said this too). So you can't have someone with one but without the other. I reflect that in any field of education, as I did my studies in computer science, you can be of the highest rank in that field in terms of knowledge - but without connection to faith - EXCEPT with knowledge of Shari`ah, where it has to be coupled with taqwah. Because of the Barakah of studying, Allah blesses you with taqwah. Many of us take the route of seeking knowledge without the spiritual aspect, it's just information they accumulate which may even go against them on Judgement Day. "And fear Allah <-> IS CONNECTED TO <-> And Allah teaches you. And Allah is Knowing of all things." (Baqarah 2:282). Becoming an expert in the study of the Shari`ah requires taqwah so we must develop that with equal importance, and not simply studying and attaining the highest level of the degree. SPARKLY GEMS: Allah will increase your taqwah if you learn His deen. Taqwah and education are coupled and go hand in hand. Become an expert in your field by including spirituality. Farhan: To paraphrase from sh. Abdurrahman Al-Hejazy's reminder; Allah asks us often in the Qur'an, what good is that knowledge? We are always learning and we forget to put it into practice. So let's implement what we learn. Next is Dr. Reda Bedeir (a Qabeelat Mass favourite). → Sheikh/Dr. Reda Bedeir, Is he cool? Yes or yes? When I was 16-17, after I got my first degree in English language, 60% of my friends were Christians. I asked why are some Christians better behaved than Muslims - I was confused at their behaviour. This promise has been valid for the last 1400 yrs! I realised this Book is authentic, I learned it very early on: We shouldn't judge the religion based on the behavioour of its followers. After I got my Masters' degree, I worked as a UN interpeter! I thought there must be an alternative goal for these skills I had - to serve my deen. I said I will invest my life for the service of The Book. I was still in Egypt and following the news of AlMaghrib, so I shared this story and alhamdulillah, I was making du`a for the spreading of knowledge insha'Allah. May Allah reward Muhammad AlShareef for his work and the instructors, and our students. I am so happy when after a class someone says they started praying salat or wearing the hijab. It's the most beautiful achievement ever that brings peace and happiness to a believers' heart. Who would like to invest in this, the most successful business? *raise your hand! * Masha'Allah, I see so many hands in the air. Our predecessors - Abdullah ibn Awf and others - used their wealth to get into Jannah. The Prophet ﷺ said your wealth (reward) is multiplied much more than anything the Makkan tribes could offer, 100 x more, 100000 x more! Prophet Muhammad ﷺ would ask, what would make Allah take such an oath! "Wallahi! Your money, your wealth will increase", why will it increase? → If you give it to Allah, He will multply it 100 x." In the same hadith, we learn that raising a righteous child will also be in your record of deeds. The knowledge that child gains which you sponsored will also be in your record. May Allah bless Muhammad AlShareef for starting the organisation; don't forget your brothers and sisters in Tunisia, Libya, Egypt and others. Act upon what you have learnt from all these inspirational folks. Do it now! Shaytaan only promises you poverty - don't listen to him. Allah swt, if you give to Him, He promises you forgiveness. May we die as Muslims, wasalam`alaikum warahmatullah. SPARKLY GEMS: 'Which version of the Bible?' I was like, what do you mean 'which version'? I will invest my life for the service of the Book. Who else would like to invest in this successful business - RAISE YOUR HAND! If you give your wealth to Allah, Allah will multiply it 1000X. Act upon what you have learnt. Farhan: Inshaallah, we'll keep moving on. I wish I could discuss these topics with every sheikh, but we don't have the time! So let's go onto our next reciter, sh. Ahsan Hanif. I will be reciting the 53rd verse of Surat-ul Zumar. Each ayat is beautiful, every one is powerful. I love that in this ayat Allah is talking about hope. There's a story by Ibn Hajr about the companions, a hijrah (migration) story from `Umar (ra) who migrated from Makkah to Madina with two Muslims, Hisham and Ayash. They all promised to meet at a particular place to travel together, only Hisham didn't make it - meaning he had been imprisoned by the disbelieving Quraysh. Ayash and `Umar (ra) migrated to Madina, where they later met the noblemen of Quraysh, the fierce opponents - Harith and Abu Jahl - they were close relatives of Ayash. They told Ayash his mother made an oath to live miserably until she saw her son; she was unkempt and unstable without him; hearing obviously Ayash wanted to go back to her. `Umar (ra) knew they were trying to make trouble and would capture him but Ayash requested again to `Umar of going back with excuses to finish this or that business, and `Umar (ra) persistently said 'don't go'. `Umar tried to give his wealth to him but Ayash still wanted to leave. Thus, `Umar (ra), the righteous friend, said 'take my camel if you insist, it's faster than a camel that these two men will give you, and if you find they try to capture you, you'll be able to outrun them'. <- This was being a true friend. Ayash returned to Makkah but was overpowered, so both he and his companions including Hisham, left Islam, the left the religion. Many years later this verse was revealed, "Do not despair of the Mercy of Allah, Allah forgives all sins, no matter how big or small, after repenting to Him." Hisham read this which was sent to him by `Umar (ra) but he was unable to understand it. He wanted to understand so he prayed to Allah to guide him, and the next day he understood that if he made hijrah to Madina and repented and accepted Islam - all his past sins would be forgiven, insha'Allah. Hisham asked for guidance, and understood that if he went to the Prophet ﷺ and accepted Islam then Allah would wipe away all his disbelief. So he left Makkah for Madina, because of this verse. The Prophet ﷺ said, "When a person sins but turns to Allah, sincerely regretting what they have done, then Allah will look down and say 'Indeed My slave knows he has a Lord who is Forgiving and Merciful, so I forgive My slave'. But again, because of his weak nature and temptation from Shaytaan, he will fall into sin and again turn to Allah, yet again Allah will forgive him..." The Prophet ﷺ concluded, that Allah says "Indeed, I will forgive My slave and anything which My slave does." Because of the constant return, repentance and hope for Allah's mercy, Allah will forgive you! We can never despair and forget the mercy of Allah. Therefore may we continue to strive and do righteous deeds. SPARKLY GEMS: We're going through constant battles with ourselves, we need to keep hopeful in Allah's mercy. Do not ever despair of Allah's mercy. True 'imaan from a card of Laa illaha illallah will save us. Farhan: Jazakallah khair sheikh. We have over a couple of thousand listeners masha'Allah! So a reminder that we've got a powerful line up, and a reminder to donate for scholarships. Next up is sh. Navaid Aziz. The verses I wanted to recite are from Surah Duhaa; these are to do with a personal journey of Prophet Muhammad ﷺ.
Allah swears by two portions of time: The night and early morning. The morning is blessed for all believers. Anything you do at this time will be blessed. It's an encouraged time to do anything you want to do with your life, Qur'an, work. And at night everything has settled down. The night is a time for believers to reconnect with Allah. We find spiritual strength after a day of work - after a day of earning rizq (provision), we spend the night in gratitude of Allah, as the Prophet ﷺ did. This was a secret to his success. Sometime we feel abandoned by Allah, so we can all relate to the next ayat. Allah addresses the Prophet ﷺ with the sentiment: We did not reject you. You may not feel close to Allah, or as blessed at other times, but recognise that Allah will always be there with you. No matter what state we're in, Allah WILL protect us and guide us. Then we read the ultimate minder: "The hereafter is better than the life of this world." Life is limited. All our happiness is accompanied by some form of pain, it's a temporality. But everything in the next life is complete bliss. Then we read advice: "Do no repel the orphan." Take good care of them, with mercy. If someone asks for help, don't turn them away. So when you need something, help, go help others. Particularly for those without parents, such support also assures a great future for ourselves. It's a great Islamic social service - when we need help from Allah, we need to go out and help people. Finally, an absolutely beautiful ending: "Mention the blessings of Allah". Be grateful, this is the secret of happiness. This is an Item Action for you! → Appreciate the things from Allah, He will naturally grant you happiness. Today, think of 3 things Allah blessed you with before you sleep, you'll become a happier person. I don't know the psychology behind it but this is a fact for me! Say Alhamdulillah, feel good, things will naturally flow. Conclusion: When you're feeling low on motivation, and all those times you feel unable to move, think about how Allah addresses Musa `alayhisalam, "I created you for Myself." SubhanAllah, when I heard this it was like the first time I heard it. I'm gonna remind you that you need to continue doing what you have to do, Allah is always with you, Allah will see you through it. , and He does not reject you. Do not be disillusioned, all our happiness is attached to some form of pain, life will disappoint you. When you need help from Allah, provide help for others. ITEM ACTION:: Thank Allah and appreciate His blessings to find happiness, say alhamdulillah more. Farhan: Masha'Allah. A few more shuyukh, 5 more left. Continuing on we have sh. Yasir Qadhi, a very well known and "premier" tutor. I'm really honoured and humbled to be part of this great evening. A very blessed effort is taking place, never before, dare I say it, in the history of Western da`wah to have 17 shuyukh. One of the greatest problems online is how can you possibly expect a sheikh to talk for just 5 minutes?! I will try to keep this short. I can't do a full tafsir, although they are very beautiful and carry a profound message. Whatever people say about us - it's not going to judge us on Judgement Day. Whatever they say about our religion, it's not going to last. Even our Rasul ﷺ was not saved from the pain of criticism. But if they criticise us, we MUST increase our ibadah, with tasbih etc. The last three ayat are my focus. Why are they important for me? Well, in my personal development. Allah says "Certainly we know that your heart will be constrained about what they say about you, you're going to find it difficult, WE know this", Allah said to the Prophet ﷺ. What did Allah tell him to do? He said, "Praise your lord and glorifiy Him, and be of those who prostrate to him". The mushrikun (disbelievers) said things that he ﷺ couldn't bear alone. Allah said, "We know it's difficult to bear criticism", how do you respond? Keep praising your Lord! The more they criticise you, the harder you pray. Worship Allah until certainty comes to you - until death. Don't stop. Certain trials and tribulations I underwent in Madina, included people who said things about my character, personality, it was very difficult personal trial, which there is no benefit to get into the detail of. This ayat gave me hope. Allah said We know you'll be pained - brothers and sisters, it's not "un-Islamic" to feel pained when they talk about your character, and Allah knows. Did Allah say refuse them, to put energy into correcting them? No. You have a job: praise your Lord. The more they criticise you, the more your 'ibaadah needs to go up. No matter what they say, you need to keep at it. You find that people will change their opinions to avoid criticism or leave da`wah and the path of Allah altogether. No. You need to ignore critics. The more they criticise, the more sujud (prostration) you should make. For me, this was a consolation in light of my situation, certain students even tried to get me expelled, a lot of fitna (tribulation) occurred but these verses brought me peace. Alhamdulillah, alhamdulillah, the fitna subsided and those critics are unknown. Whatever's happening to them - I don't know! I persisted with my studied, alhamdulillah. These ayat were my primary guiding light. As a da`ee it's difficult to continue when they things about you. So forget what they're saying, I need to make sure my relationship is steady. When you make steps in the deen you will make enemies. Your intention needs to stay pure and you need to keep going, their criticism will not hurt you. We don't care of their opinion - our goal is Allah. We'll continue with sincerity, we'll be the most brave of the brave, with yaqeen, until we die. We will continue on the path of our Rasul ﷺ, and if that criticism comes, what must we do? How will we find peace, by increasing our tasbih and increasing our 'ibadah of Allah. These are some of my favourite verses of the Qur'an. Brothers and sisters you WILL make enemies. Your friends, relatives, Muslims and non, they will oppose you. Your intention HAS TO BE PURE. And your 'ibadah has to be more. Allah will save you. We don't care what others think of us, we will be able to stand any criticism and persevere until yaqeen. May Allah give us that tawakkul (reliance), and ikhlaq (character). SPARKLY GEMS: It's not "un-islamic" to feel pain. They more people criticise you the more you need to make sujud. When you study the deen you will make enemies, but you need to keep going and keep your intention in check. Farhan: Jazakallah khair sh. Yasir. We're gettin' closer to the final moments! Everyone been looking forward to hearing our next sheikh so lets call up Sheikh Yaser Birjas, starting a new 'usool class very soon. "Say, 'O My servants who have transgressed against themselves [by sinning], do not despair of the mercy of Allah. Indeed, Allah forgives all sins. Indeed, it is He who is the Forgiving, the Merciful. But yes, there had come to you My verses, but you denied them and were arrogant, and you were among the disbelievers. And on the Day of Resurrection you will see those who lied about Allah [with] their faces blackened. Is there not in Hell a residence for the arrogant? These are most hopeful ayat, and open the gates of forgivness regardless of the situation. Allah talks about extravagance (israf), doing bad against their own souls. Whether you're doing wrong, or not doing enough good, this is something we feel often. You feel like this whether you're doing wrong, or its against your soul. Prophet Muhammad ﷺ said "All the children of Adam are prone to error, the best will make tawbah." The issue of sin is relative issue and depends on where you see yourself. Where do you see yourself in akhirah, based on the expectation you have for yourself? If you only expect to to get into first level of Jannah and just miss Jahanam - your work might not seem like a big deal. Your major sins will not seem too important. But if your aim is get into the top levels of Jannah, then even the smaller sins feel like major ones, we don't want to be doing them. In high school I realised, as an independent young adult, going to masjid, seeing life differently, you see your mistakes and laziness, it becomes a troubling issue. I went to a Kuwaiti mentor, I asked him to help me. I learned you are human after all. We all go through these emotions - all the imams, all the shuyukh. We have our own shortcomings in our lives. This ayat in the Qur'an reminds us of being hopeful in Allah's forgiveness, because of it I am more hopeful. I'm not mediating my tawbah (and wrong) but I am always hopeful of Allah's messages and I try to pass on this message in my classes. I know we feel guilty for not doing enough, but if we're always whining, we'll never move forward. Yes we need to be fearful, but keep the message going. We need to tell people they can do better instead of 'not doing enough'. Don't have regrets that cling to you, move on, don't allow yourself to be regretting things on Judgement Day. Remind people of what good they can do, and how to improve to make their life in Jannatul firdous. SPARKLY GEMS: Where do you see yourself? Just missing Jahanam or in the top level of Jannah? AIM HIGH! We need to tell people they can do better instead of not doing enough. Don't have regrets, move on. Remind people of the good they can do. Dear respected elders, students and teachers and a special shoutout to Niche Heroes! Salam'alaikum. "And is one who is dead" - ? - is that person whom Allah gave life to, invigorated with deen, and on top of that, given light of guidance, which he walks with throughout the land, like the one who is still stuck in darkness - ? - in an ugly place, haven't gotten to go through purification, never to emerge? Are these two the same? *sh. M. Faqih gets quite emotional here, subhan'Allah. These verses are strong. They don't have the rays of faith in their life. They even think someone who is guided with light - "oh, we're better than that person." I said, how fortunate to have the guidance of Islam. Alhamdulillah, how great the ne`ma is. The last part of the verse stayed with me. How so many people are deceived by going in the wrong direction, this kept me in check. I came to America 20yrs ago, one day I was listening to a lecture by sheikh al-Qarni, I remember what it was called: "The Mystery of Those who Fear Allah". The sheikh giving the talk mentioned ibn al-Munkathir. He came across this ayah and started crying. People tried to stop him but he couldn't stop crying. They sent for a great scholar and friend Abu Hazam al-A`raj, who asked 'What's wrong?' Munkathir said I read this ayat - the sheikh recited last part. I knew from the lecture, I knew it was in Surat-ul Zumar, but I had lost touch and couldn't remember which ayat. I was shocked trying to find it; after an hour of searching the mus-haf (Qur'an copy) I located it. That tied to ayat 122: Allah talks about "Those who did wrong had all in earth, the like of it, if they had double that amount, 120 billion x that amount!! Whatever they had stored all over to ransom themselves for Judgement Day for punishment, they would do it." Allah closes the ayat; this part shocked me. "There will appear to them from Allah, (things) they had not taken into account". The wrong doers are thinking they can do whatever they want and get away with it, or justify it. 1) Maintain authenticity to prophetic traditions. 2) And make sure what we do is sincere. Make us best of doing good. Farhan: sh. Mohammed I have to ask you from sh. Muhammad AlShareef *chuckle* - what happened between you and him and a helmet...? sh. Muhammad Faqih: Oh, I hit Muhammad AlShareef - it was an accident! I developed a thing after the birth of my twins where I kiss them where they are hurt (!) but before that (the bruise-mark) it was just an accident. You can see this on my Facebook!! SPARKLY GEMS: Is the one who's in darkness the same as one who has rays of guided light? Do not underestimate your actions and sins. Make sure whatever you do is sincere. Farhan: Masha'Allah, that's good! We hope sh. Waleed has a lengthy portion to recite for us now for we love listening to his recitation of Qur'an. First of all I would like to thank Allah for his continuous support on our institution, and to serve His religion, by teaching. There are over 1500 people listeneing to this program, alhamdulillah. One of the shortest surahs, it is such a beautiful surah. I'm not going to interpret, it's not tafsir fashion, but I wannu ask you to reflect. What it means to me personally today when I'm talking to my friends and brothers and sisters. These days are different to the other days of my life - they're more difficult. It's touchy for me to even talk about this. "Is in loss", continuously losing - losing what? "IN losing". He didn't say you are a loser. You have to know what al-asr is. Al-Asr has four different famous opinions, all correct because they don't contradict. **Only 3 mentioned here. (1) Time → Losing time. You, my brother, you my sister are continuously losing time, every second, that portion of time that was given to you. As Imam Hasan al-Basri said "Human beings are just a collection of time and moments, a collection of hours and nights." Every say is one day closer to your grave. We can see this happening very soon, way closer than you think. (3) Time → At the "time" of those who come after the Prophet's ﷺ time - is his time, those who come after lose more. The first meaning of "time" is the strongest so those who, if they don't use their time in encouraging people, it's a lost moment. That moment was worth nothing. It wasn't put to use in righteousness, to patience or commending, in 'ibadah. You've lost it. Ibn Masoud said: "I never regret anything in life like = a day passed by when I didn't use a day of my time (age) in increasing good deeds." Life is like a block of ice on sale in a desert, it's melting and you're trying to sell it. If it's melted and you haven't sold that, you haven't made a profit. We're losing capital at the end of the day, if you can't make a profit you're day was wasted. You're a loser. The real winner enters Jannah, how is this related to us? AlMaghrib is a family, we maximise our benefits in two weekends. I have to say couldn't see myself doing this amount of worship in any other weekends. Every time you walk to class you remind each other of truth. Many people cannot recognise religion, they bring their personal opinions, a personal ijtihad as though it's the truth. They make ideep issues, personal issues, `audhobillah. That's not what we recommend. We stick to Qur'an and sunnah, what is agreed upon, it's the haqq. Also it's an opportunity to remind one another of sabr and commitment. That's what it's all about. All about sabr, helping one another, to be patient, with the 'ilm, in your class, with teachers. Basically, even with those who disagree with you. `Umar ibn Khattab (ra) said that, "We found that the best way to live our life, is to live it with sabr". You will never taste happiness if you are not patient. Whoever has patience in their life, his life will not disappointment. The Prophet said ﷺ "Do you know who the bankrupt person is?" No - the Prophet ﷺ said, "That one who's fasted, prayed, given zakat, but this person had insulted this person and slandered that person and took their wealth - then all of his good deeds are given to them - we try to hold on to them - They have the right to take them from us". So how will he get into Judgement Day when he's lost all of this? There's a lot to said about this surah, it's not for nothing. The Companions used to meet and they would read surah al-`Asr to one another; I always thought about this. Why would they do that? Seeking blessings? There's more blessingsin Fatiha, in Qul hu wallahu Ahad (ikhlas), in Ayatul kursi, why 'Asr? BECAUSE of the meanings it includes and the reminders to one another. Why is this a sensitive topic for me? I want to share a hard moment with you in my life, when my **here our sheikh finds it difficult to go on**. 1.5 yrs ago when my son Yusuf was diagoned with cancer, I remember - I remember the support I received from all of you, all my colleagues, alhamdulillah, that I received. I thank Allah, alhamdulilah, for this support during this hard time. I see the progress and I thank Allah every day. We can find the test of Allah on us even in good health, we don't always recognise it. It feels like I have a connection with disease as my mother was also diagnosed with a more dangerous form of cancer. I ask Allah to make it easier. That's life, this is something we all live with, we see later on our paths and we must learn and benefit from these reminders. May Allah make our end in this life easier and blessed. SPARKLY GEMS: People are IN a state of loss by constantly losing moments of good action for Allah's sake. Life is like a block of ice - capitalise it before it melts away. Have sabr, especially with those who disagree with you. There is a test in everything, in hardship and good health. Recognise this. Farhan: Jazakallah sh. All our duas will be with Yusuf and your mother insha'Allah. We hold our teacher beloved to our heart, please remember him, raise his rank. May Allah give sabr. The sh. said life is a test, be it good or bad. Allah says He can test us with something good or something evil. It can be difficult to acknowledge when we're in good health, but we don't see it as test so we don't respond. I'll begin with the Qur'an recitation. I had some in mind but they nicked the Qur'an recitations from me! Surah Duaha, and Surah Hijr. Yasir Qadhi's choice was what I was going to share. Those were in my mind. This is about taking action and reacting. Of those who killed 'Uthman (ra) there was much trouble in store. 'Aisha (ra) said, "If you compared their salah to the companions, you would belittle the Companions, you would belittle their fasting, their study of Quran of the Companions". Yes, the action that they took was immense - they KILLED the son in law of the Prophet ﷺ, 'Uthman (ra). Allah tells us anytime you're ever disillusioned by the words of people, look at their words. "Say: e`malu!" - "Do good deeds!" Take action. Because, "By your actions will Allah and Messengers take account". It is action and character and intention behind these that Allah will show us. Yes, there are things our community needs to get done. But just talking about it won't it get done. Yes, there's a need for Qur'an school, this or that project. I've seen that there's nothing more powerful than ONE person to just do it. (1) The Talkers → They just talk. Their business is to complain. (2) Those that do Nothing → And I mean, nothing, they're too lazy for gossip. (3) And those that Just Do! → There are not enough people who just do. SPARKLY GEMS: Don't be a whiner, take action. We are people who DO. **Remainder talk covers brief mention of unity in ummah and Liwaa Cup winners. `Umar (ra) said: "If You Don't Love Someone, Lie To Them"
I am looking for the recording to this webinar. Do you know iwhere i can get it? The host and website mentioned that the entire recording would be available for download but I could only play back the mp3 online version of the seminar, which could not be downloaded. 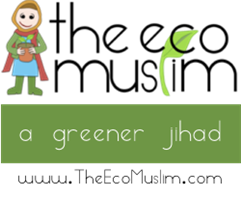 Get in touch with the AlMaghrib team/forums insha-Allah.